Neil Burnside is a spymaster for the British Special Intelligence Service. While the term MI-6 is not used, its other name, SIS, most definitely is. Burnside is in charge of a small group of agents inside that organization who have been given the nickname of The Sandbaggers. The reason for the epithet is not explained but might be due to use of sandbags to shore up defenses against incoming hazards. Of course, in card playing, pretending to have a weak hand to lure in an opponent for an easy defeat could also a possibility. Officially, Burnside is known as D-Ops, Director of Special Operations, and it is the job of him and his cadre of people to handle the extra-sensitive tasks. Prior to taking control of the department, Burnside had served many years as a Royal Marine before leaving the military and joining the Sandbaggers as one of its agents. He worked his way to the head of the department, a position he had only just taken up when the series begins. In the series, Burnside answers to the head of British Intelligence, Sir James Greenley, known as "C", and his number Two, Matthew Peele, a man who often quite vocally announces his lack of trust for Burnside and, to a lesser degree, the entire group, and a man who believes it is better to just obey orders and not make waves. This does not sit well, ever, with Burnside. Burnside is divorced and never seems to have time anymore for the ladies, possibly due to still having quite a bitter taste in his mouth from his first attempt. Then again, if his acerbic tone used towards his superiors in the agency and often to his subordinates who question his orders is in any way translated into his personal life, his lack of companionship is understandable. Despite this tendency to speak harshly, it is well known by his people that he would defend them with everything he had and would never put them into harm's way without a very valid reason and so there is considerable loyalty to Burnside despite his manners. As time goes along, the position of "C" opens up as the older Greenley retires and the replacement, a man named Gibbs, is less pleased with the concept of the Sandbaggers and the way they operate. This causes even more aggravation for the already irritated Burnside. 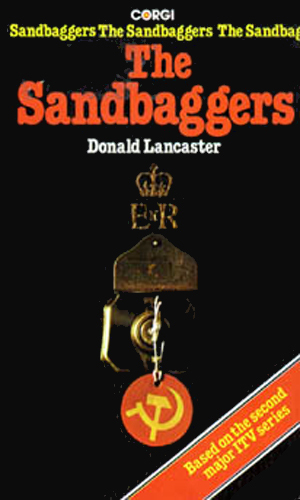 Inside the Sandbaggers organization, in addition to the leader Burnside and his personal assistant/secretary, there are three operatives known as Sandbagger One through Three. Willie Caine is Sandbagger One, by far the most senior of the agents and the man what Burnside considers the best operative active in the world today. The confidence Burnside has for Caine, and vice versa, is tremendous and makes for a great working relationship. Even though they will disagree with each other, at times rather loudly, the respect and friendship never waver. The other Sandbaggers, however, prove that the job is extremely dangerous. During the time recorded, several Sandbaggers lose their lives in the performance of the job, forcing Burnside to bring from other departments agents to take their place. A few of these also die. Being a Sandbagger may be a prestigious assignment in the Intelligence community but it is also often a short one. Two books were published based on the television series. One is quite good. The other not so. As the series was being filmed, the creator and chief writer for it, Ian MacKintosh, took two of the episodes and merged them into one novel, throwing in his intimate knowledge of his "child" and using his talents as a writer. The book is very good and very much worth reading, far better than many novelizations. The second is far from that. The story goes that the writer, Donald Lancaster, was hired for the job, given a brief summary of the series, allowed to watch a couple of episodes. and told to take it from there. The book is quite alright on its own but only if you have not watched the shows. Good story. Not good sandbagging, IMHO. A novelization of two episodes from the series - Always Glad To Help and A Feasible Solution. An arabic prince, in line to take the throne, wants help to overthrow his pro-Soviet father. While his bosses are anxious to oblige in the hopes of a bigger budget, Burnside has his doubts about the man. An original novel - Based loosely on the series, it concerns espionage activity in Hong Kong. The two-book series comes from a popular television series in Britain in from 1978 to 1980. Composed of three seasons of 7, 6, and then 7 episodes respectively, the show starred Roy Marsden as Burnside. The series was conceived by Ian MacKintosh, an accomplished screenplay writer and producer before he came up with the concept. Mr. MacKintosh wrote all by 3 of the 20 scripts used for the episodes and monitored the production very closely. The series proved very popular both with the audience and with the critics for the superb acting by the players as well as the tight, well-crafted writing of the creator. The television series came to a sudden halt with the disappearance near Alaska of the creator and guiding hand. Ian Mackintosh and his girlfriend were passengers in a light aircraft piloted by a friend off the coast of Alaska when a distress call came from their craft but they and it were never found. The Norwegiant Secret Service asks the Sandbaggers to help find and pull out of Russia the crew of their crashed aircraft. Ordered to go do it, a reluctant Burnside soon learns the Norwegians have another agenda. A major British official supposedly on a fishing trip to Scotland is spotted in Vienna, raising the fear of defection. Meanwhile an African dictator responsible for the death years before of a Sandbagger has killed a journalist as a spy and Burnside wants to get revenge. 3 Is Your Journey Really Necessary? When a mission the Sandbaggers took on behalf of the CIA goes bad, resulting in Sandbagger Three having to kill Two to prevent capture, Burnside takes a great deal of heat even as he must investigate a diplomat's taking a homosexual lover. As he recruits new Sandbaggers, Burnside learns an SIS agent is dead in Albania. He sends One and the new Three to see what happened as other cases start to mount up. An Arabic prince asks the Foreign Office for help in a coup to unseat the present pro-Soviet leader and they turn to Burnside. As he considers it, he has a run in with the Ministry of Defence over a different matter. Burnside sends Caine to Cyprus to rescue a kidnapped British scientst while he finds time to court his attractive new Sandbagger, Laura. Caine himself falls victim to love with a female possible KGB agent. Though he is totally smitten with Laura, Burnside must send her on a dangerous mission to East Germany and when she is captured, he tries to make a number of pacts to get her out before making the choice he feared. Sandbagger Two is sent to Bulgaria to meet a man claiming to have vital information on the West. When he lands in a great deal of trouble, Burnside and Caine must try to get him out. When his ex-father-in-law, a bigwig with the Foreign Office, goes missing in Brussels, Burnside send the two Sandbaggers he still has to investigate as he tries to recover a classified document the man had in his office. Caine and a female CIA agent are en route home from Sri Lanka when their plane is hijacked. Burnside is determined to get Caine out and wants to use the SAS but the higher-ups are afraid any action could fail. Sandbagger Two has some trouble with the Head of Station in Warsaw prompting the latter to lodge a complaint. When he then starts to act oddly, the Sandbaggers are sent to check but Burnside starts to feel something else is up. The two Sandbaggers are sent to the US to aid in security during a major funeral. 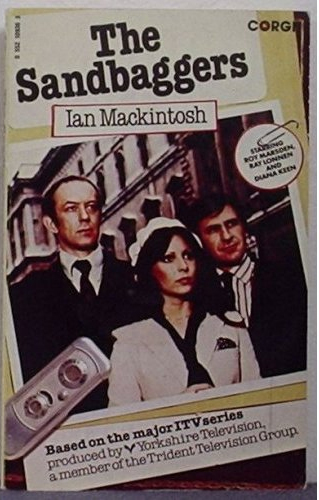 Back home, Burnside investigates whether a Cabinet Minister might be passing information to the Soviets and if the Prime Minister knows about it. As the current "C" announces his retirement, Burnside learns an old rival is top in line for the job and begins a campaign of "anyone but him". Burnside learns that the wife of his CIA friend is the subject of an MI5 investigation and may be carrying on with a KGB agent. He is dealing with that while facing a new, antagonistic "C". The word has come that the Director of Intelligence for the SIS, a friend of Burnside, is in Malta with a woman likely to be a KGB agent. He heads there to help his friend knowing he may have to eliminate him. Forced to go along on a conference to Greece, Burnside is approached by a woman he thinks is an enemy agent and decides to play along. Back home, Caine is forced to send SandBagger Two to Russia but learns too late it is a trap. His plan to put a sleeper agent into Russia to highlight their human rights abuses is denied by his boss but Burnside proceeds anyways. A British businessman in Prague who has slipped SIS info in the past is reported killed in a car crash but the Sandbaggers learn he is planning to defect out of love. They plot to trick him into coming home. The SIS doctor prescribes rest for Burnside but his boss takes that as a chance to force him out and replace him with a friendly man. Burnside learns there is even more to the plot from his CIA friend. Burnside is against the SALT talks but must provide his two Sandbaggers anyways. They learn a KGB agent wants to defect which Burnside knows would scuttle the talks. I was incredibly fortunate to be stationed in Scotland from 1978 to 1981 and had the tremendous joy of watching this series when it was first run on ITV in the U.K. I remember enjoying immensely when Burnside was abrasive towards his immediate superior and cringed about when the man's ire turned towards his own people, probably from wanting to do the former myself and having suffered the latter a time or two. I also recall that the lack of thrilling car chases, diving out of airplanes, underwater combat, and ladies in scant outfits did not work against the series at all. It was far closer to the dark and brooding worlds of Deighton and LeCarre and Hall than the usual television spy series. The series never got a decent showing in the U.S., probably because it did not have the aforementioned items. PBS showed it but no one else picked it up for syndication.